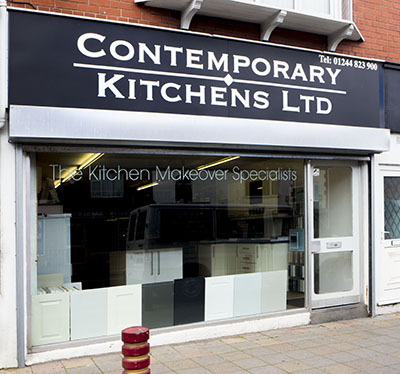 Contemporary Kitchens Ltd are based in Shotton and offer kitchens and fitted bedrooms in North Wales, Cheshire and Wirral. We supply and install fitted bedroom furniture delivering the optimum storage space for your room, whatever the layout. Check out our Facebook page for examples of our work! With over 25 years experience we are a family run business and have saved our customers £thousands with our popular kitchen makeovers and replacement doors.